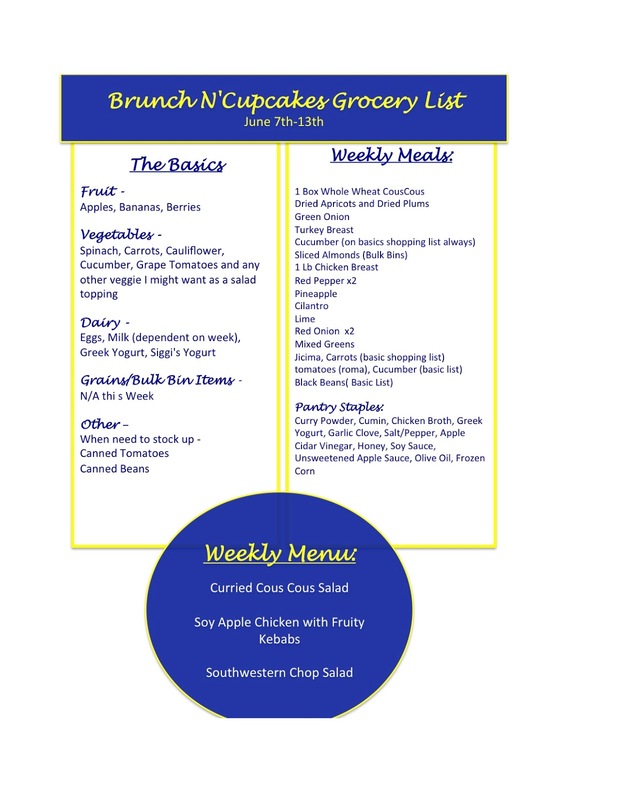 Well I would say that the first week of the Brunch N'Cupcakes Menu Plan and Shopping list was a success! So lets do it all again! This week I am focusing on summer flavors with grilled chicken, grilled fruity kebabs, a delicious Southwestern Chopped Salad, and a yummy Curried CousCous Salad that is best prepped on Sunday and enjoyed all week! All three meals make great leftovers. I also have a special treat to share with you all... I will give you a hint, Friday is National Peanut Butter Cookie Day! Get excited, and without further delay the meals and the shopping list! Happy Cooking! **Have leftover Soy Apple Chicken? Use it on top of your Southwestern Chopped Salad... Yummy!! !